Twitter chief executive Jack Dorsey has told US lawmakers the company's algorithms have not always been "impartial". He said the platform "unfairly" reduced the visibility of 600,000 accounts, including some members of Congress. But he was unable to immediately say whether a majority of them were Republican, Democratic or otherwise. Mr Dorsey is being questioned by senators over allegations that Twitter censors conservative voices. Several Republicans, including US President Donald Trump, have accused Twitter of bias, which the company denies. 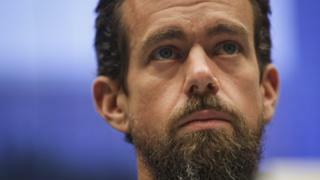 "Twitter does not use political ideology to make any decisions, whether related to ranking content on our service or how we enforce our rules," said Mr Dorsey. However, he said the company had made mistakes. On Wednesday, the US Department of Justice said it would investigate "growing concern that these companies may be hurting competition and intentionally stifling the free exchange of ideas on their platforms". What is the Twitter hearing about? Allegations of censorship were fuelled when Twitter added a "quality filter" to the platform and its search results. Some users noticed that their tweets no longer appeared in search results and suggested that their content was being hidden, known as a "shadow ban". Mr Dorsey told senators that the platform used "hundreds of signals" to decide "what to show, down-rank and filter". "We do not shadow-ban anyone based on political ideology," he said. He explained that the algorithm had acted on the behaviour of people following accounts - so some politicians were punished for the behaviour of their followers. "It was unfair", said Mr Dorsey. "We corrected it." Several senators in the hearing said the investigation was a waste of time. 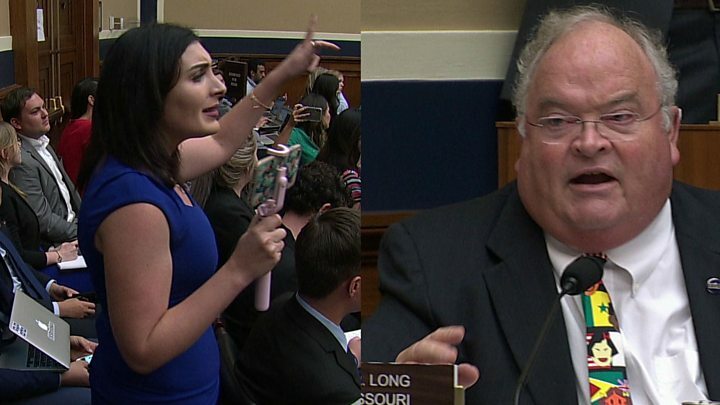 Democrat Paul Sabanes said the hearing had been triggered by "deep-state conspiracy theories proffered by the president" while fellow Democrat Jerry McNerney said it was an effort by Republicans to motivate their voters. "President Trump and many Republicans have peddled conspiracy theories about Twitter and other social media platforms to whip up their base and fundraise," said Democrat Frank Pallone. Mr Pallone said Twitter could not be accused of anti-conservative bias while it allowed President Trump to use it for "juvenile tweets and misinformation". What else did Mr Dorsey reveal? Asked whether Twitter's rules were clear, Mr Dorsey said he accepted they were difficult to understand and needed to be "more approachable"